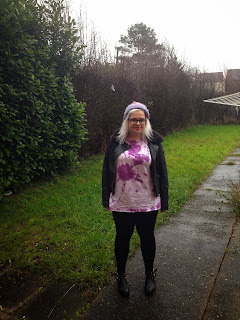 Here i am with my second outfit post of 2014, it still seems so weird writing that. I am still unsure to post this or not. This is my casual weekend/ after work clothing, i tend to smarten up for work even though we have a non-uniform policy but i think smarter clothes put you in a better frame of mind for work. Just like when i was at school i had to do my homework in my uniform or it wouldn't get done. I love this outfit, i think it sums up my style really, as i tend to wear what suits me rather than following the trends all of the time. I have worn allot of this hat this year, i had a lot of comments on how cosy it looks. People are surprised when i say its from Primark, i think its because its really thick wool and looks really good quality. My t-shirt is handmade by my sister, she has an Etsy store here and her Facebook page Here she will make items to order so you can request the colours and the sizes. 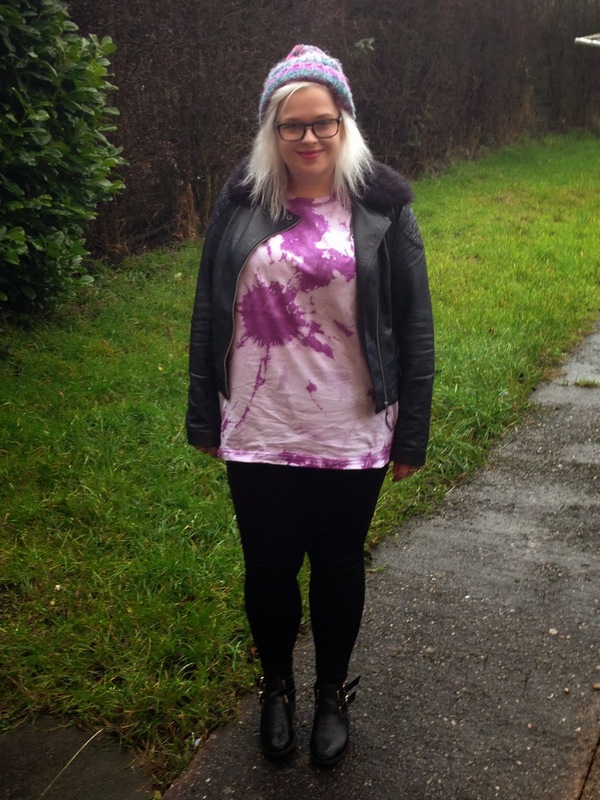 I love this top as its not like anything i have already saw on the highstreet, which is why i love handmade clothing. I love tie dye items, i think they are perfect for spring/summer. Thanks :D you can find my sister here https://www.facebook.com/kellyannwoolley?ref=hl If you are interested in any of her products.